La Muerte del Angel (The Death of the Angel) is one of Astor Piazzolla’s works that has been arranged in various guises, by Piazzolla himself, and by others. 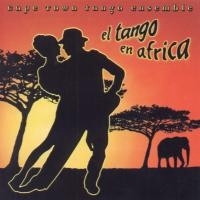 The Cape Town Tango Ensemble’s new CD Tango Club features my arrangement. Astor Piazzolla wrote Tangos that cover an astonishing musical range. Music for over 40 films share his catalogue with dance music “concert tangos” and symphonic works such as the Bandoneon Concerto. From solo flute to jazz ensembles to full symphony orchestra, Piazzolla continually pushed the boundaries of his musical language. He was a classically trained musician, so many of his arrangements of his own works are written out in such a way that a classical ensemble could perform them. His period of study in France with the world famous composition teacher Nadia Boulanger reflected his lifelong interest in “serious” music. However, in his quest to rejuvenate the traditional dance tango, he incorporated the improvisations of Jazz, and the atonal experiments of the avant garde classical composers of the 20th century. 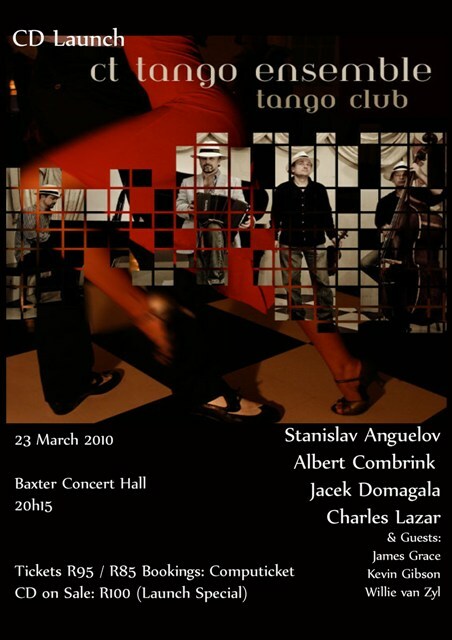 The resulting Tango Nuevo (New Tango) is an exhilarating world where improvisation in the heat of the moment joins hands with strict rules of classical music in an intoxicating dance. This page forms the A section: rhythmic, incisive, aggressive. It is followed by a reflective, inward-looking B section with a laid-back, smokey jazz feeling. Two pages only. It is so simple one might be forgiven for dismissing it. Yet the seeds for a magnificent creation are contained in these two simple pages. The art lies in how this skeleton is transformed into a fully-fledged piece of music. 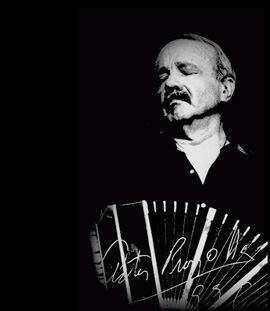 Piazzolla made various arrangements of the work and each time he performed it, the improvisations were different. But my main style is to have studied. If I had not, I would not be doing what I do, what I’ve done. Because everybody thinks that to do a ‘modern tango’ is to make noise, is to make strange thoughts, and no, that’s not true! You have to go a little deeper, and you can see that what I do is very elaborate. If I do a fugue in the manner of Bach, it will always be “tanguificated”. And tanguified they are. While they are not rigorously worked out fugues in the style of Bach, his 18 month period of intense study of four-part harmony is evident in his ease of handling the fugal style. All Piazzolla’s fugues are fast and furious. He seemed to revel in the “thrill of the chase” afforded by this style of writing. Bringing in a theme for a second time, before the first play-through of it has ended, builds tremendous excitement and tension. I wanted to arrange this work myself, as much as hommage to Piazzolla and my passion for his music, and as an attempt to realise some of the sounds that the work conjured in my imagination. “Post-Piazzollism” is both the legacy of this great master, as well as the challenge for any musician treading this holy ground. In my arrangement, I did not use Piazzolla’s Fugue version of La Muerte del Angel as the starting point, but chose to attempt to create something new. There was something in the theme that just seemed to call for a “chase”. 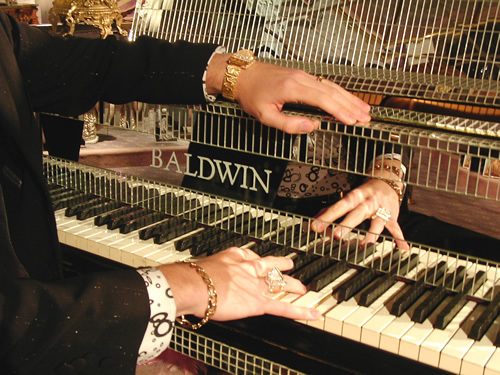 Whenever we performed this work in the past, we would work only off the piano score: each instrument embellishes and improvises around the basic structure. Elements of Jazz enter the world of classically trained musicians, are we improvise “on the fly”. In some of our more confident concerts the fugue just seemed to sneak in all the time. Something about the harmony was so logically suited to imitation, that somehow it always turned into a fugue of sorts. I also enjoyed the virtuosity of the material, and having another keyboardist in the form of the accordion in the ensemble in addition to the violin, was just too good to resist. Various orchestral versions of this work exist. The many instruments in an orchestra make the composition of a fugue a more direct procedure than allowing a quartet or quintet of musicians to “improvise fugally” at will. While some of our improvisations were thrilling and on the edge, occasionally there was just a bit too much fugality for our own good. I felt the need to limit some of the artistic decisions we took on the spur of the moment, by writing down, and thus containing, some of the fugal elements. Naturally, this limited possibility for improvisation, for all the musicians in the ensemble. In the process, I killed off some of the potential “discoveries” we might still have stumbled upon in a fiery performance. But perhaps this sacrifice was for the greater good of the performance as a whole. Aslan, the titular animal in C.S. Lewis’ 1950 book The Lion, the Witch and the Wardrobe , is a good exmple. The Christian Bible abounds in tales of Human Sacrifice, in adition to the obvious metaphor of Christ. Even a modern film aimed at a youth market such as Ice Age 3 has a Sloth Sacrifice Ceremony. Sid the Sacrificial Sloth, narrowly escapes certain death in the heart of a volcano, simply by virtue of his own innocence (some might say stupidity turned vritue). Piazzolla’s work on the death of the angel is definitely cut from the same psychic cloth. The record cover for Seiji Ozawa's recording of "Le Sacre du Printemps"
For many, Le Sacre represents the explosion of the tonal and rhythmic anarchy of the 20th century. To me – given the 20/20 vision afforded by a hundred years’ human rhythmic endeavour – large sections of it seem eminently danceable. 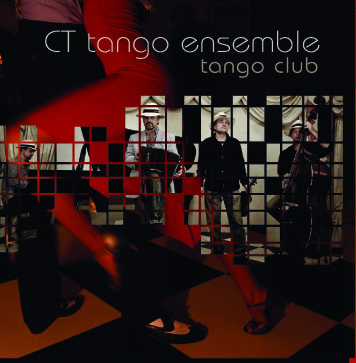 My experiences of intense music making with the CT Tango Ensemble – either by ourselves in concert or in the sacred space of the rapt improvisations or choreography of various dancers – has given some of our performances and element of ritual. 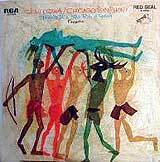 The primal ritual of human sacrifice resonated with me when playing Piazzolla’s angel sacrifice. I fear I identified with both the victim and the aggressor. As composers both Stravinsky and Piazzolla are able to depict violence and aggression. Perhaps for that very reason, the music of the victim is all the more poignant. In making the arrangement I felt that the sound of the violin is often the voice that speaks for both Piazzolla’s and Stravinsky’s sacrificial victims. Therefore the violin has a rhapsodic cadenza linking the violence of the chase with the contemplation of the angel. While the concept of an angel implies purity and virginity, the sensual nature of Piazzolla’s melodic material more than hints at carnal desires. The eroticism of the melody is irresistible and undeniable. The eroticism of the tango is likewise not to be disputed. 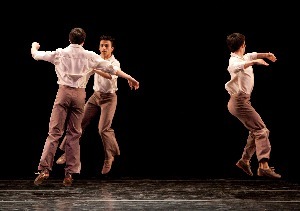 In his Tango Operita Maria de Buenos Aires, Piazzolla created the character of Maria as an allegory for the tango itself: death and resurrection, the fall from grace, transcendence. I tried to bring these apparent contradictions to bear on this arrangement. I enjoyed the ambivalence of melodies that can change perspective from the hunted victim to the hunter. The violence projected through the Tango rhythms and Stravinsky’s pungent harmonies just seemed to fit together. 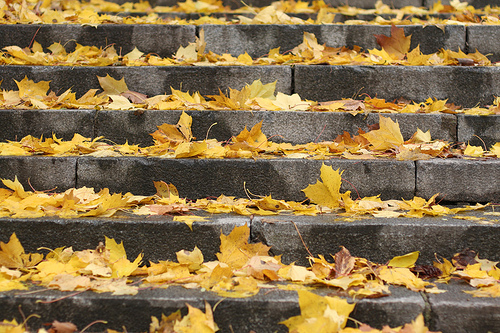 Archetypal concepts float around in the ether. The last gasp of the victim before the final chord of death, an accordion melody symbolising both the spiritual purity and the carnal knowledge of the angel. But most importantly, making the arrangement was a delightful experiment. I tried to expand my definition of both Stravinsky and Piazzolla, and explore a link between them in the collective subconscious. In the process I had a lot of fun. Free Piazzolla Scores can be downloaded from www.todotango.com. This site is Tango-Nirvana! 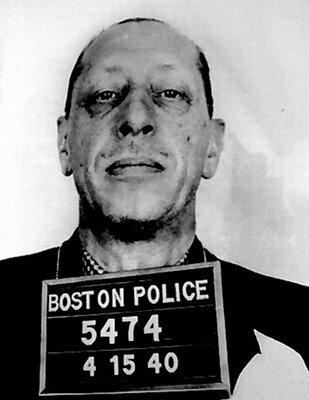 Stravinsky on his arrest in "the land of the free" for adding a different harmony to "The Star Spangled Banner"
For more on Stravinsky’s approach to rhythmic rebellion, see On the rhythm of “The Rite of Spring” by Edward Green. Stravinsky was not only rhythmically rebellious. He was arrested in Boston for changing the harmonies of The Star Spangled Banner. Apparently this law still exists in America, forbidding reharmonisation of this anthem. This law has not been as strictly enforced in recent years. Marvin Gaye even created a reggae version (for which he was not arrested).